Soldat Hans is an outlier in their musical setting, lilting tranquilly somewhere in a liminal dimension between post-rock and post-metal. They are an outlier because they do not demand your attention in an immediate way, as most bands in the modern era of streaming and accessibility have to do. If a listener is bored of your track within fifteen seconds, they’re not coming back, so you have to compose songs that hook people with a certain urgency. 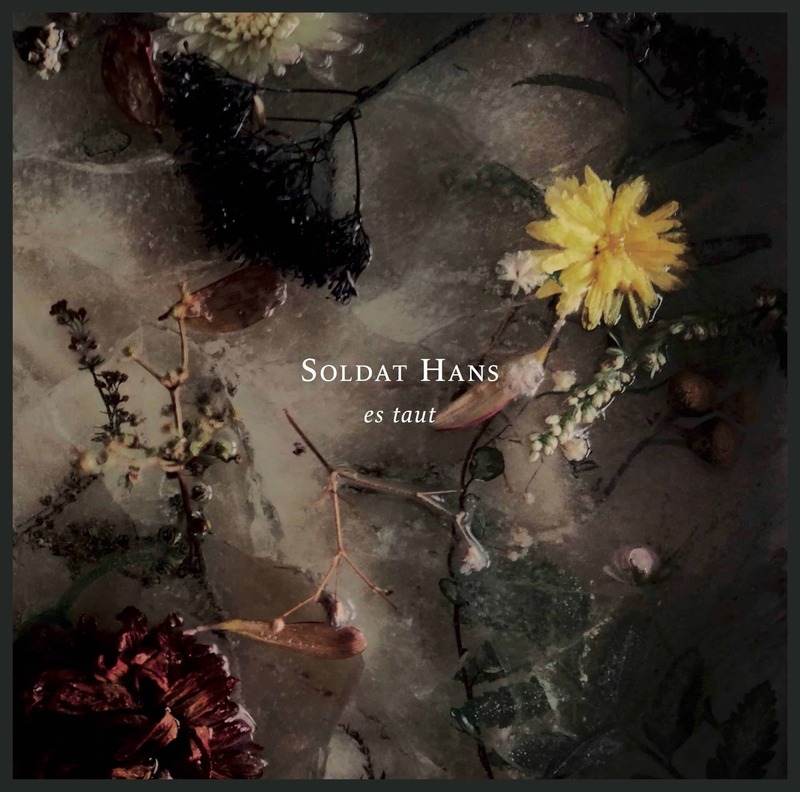 Soldat Hans are not interested in appealing to those casual listeners; their songs are enormous, expansive, patient meditations on minimal themes. But then they are an outlier again, because bands that choose this route must make their long songs dynamic and epic, not simply a handful of riffs kneaded and stretched thin with no depth. Long songs must take you on a journey. Soldat Hans, rejecting this, draw listeners deeply into the place they are, inviting them not to pine for the distant horizon but rather to renew their vision of their immediate surroundings. To establish some concrete connection between that flowery verbiage and the band’s actual music, consider the first half of Es taut: a twenty-six-minute monolith entitled “Story of the Flood”. The song opens with an Americana-doom blend ripped straight from the pages of Earth’s The Bees Made Honey in the Lion’s Skull – sparse drums and guitar are suspended in a medium of gospel organ that persists nearly ubiquitously through the track’s entire runtime. One might rightly judge them to be an Earth clone right up until the two-minute mark when the folk finally swells with a Godspeedesque crescendo and gives way to a sudden rush of fuzzy, plodding sludge with earnest screamed vocals. I am reminded of Buried at Sea’s heydays in these parts. After these waves finish crashing, the tide ebbs, and the band returns to the same musical style from the introduction. The music centres itself on the tonic major chord and never strays from it for too long, exhibiting that pull of self-location I described above. The tidal analogy holds, as the band cycles sinuously between light and heavy sections, with brass and violin playing key roles. The song ultimately climaxes in a five-minute catharsis where they unleash the full heft of their heaviness, a stunning outburst that could be most favourably compared to early Kayo Dot (more Dowsing-era than Choirs, for what it’s worth). Even after spending twenty-six minutes with the Swiss sextet-plus (the strings and brass must come from guests, as no one in the band is credited with them), you have not seen all their facets. The second half of the album, a two-part excursion titled “Schoner Zerbirst”, opens with a cappella clean vocals and segues into a minor-key drone that evokes some combination of A Silver Mount Zion’s bleakness and a more gothic Earth – maybe even a splash of Pink Floyd, in the winding lead guitars that trace an arc through the sky above the heavier moments. The organ, as in “Story of the Flood”, provides grounding throughout the piece. Halfway though “Schoner Zerbirst, Part I”, a subtle shift from Aeolian to Mixolydian signals a new direction, and brass and bells ramp up the orchestration. Yet just when you thought things were going somewhere, they circle back to the established themes of the song’s beginning. The ebb and flow are accelerated but still noticeable in the song’s overall structure. “Part II” dials the tension back to the level of the album opener, and its composition eerily evokes the calmer and quieter early Kayo Dot pieces – “Marathon” and “The Antique” when heavy, “Amaranth the Peddler” and some of the later EP “Stained Glass” when light. (One begins to notice the sudden absence of organ in this track; don’t worry, it returns eventually!) The sparse drumming is truly something to behold, exhibiting restraint and careful technique to guide the songs like a dim torch through a dark wood, yet burning like a bonfire at each clearing. Halfway through “Part II” comes a left turn that you probably will not expect given the tenor of the album so far; I’ll leave it for you to discover and analyze, rather than try to keep translating this incredible music into descriptive text. Es taut is a special album that rewards the introspective listener, amalgamating an excellent set of sounds from some of the best possible influences and fashioning them into something that’s never quite been done before. (It’s worth noting that their 2014 debut, Dress Rehearsal, is even longer and nearly just as good.) Few bands can walk the line between vicious intensity and spacious immensity, much less live simultaneously on both sides. Soldat Hans marry the two, build a house for them, invite you in for tea, and tell you stories and anecdotes until you look at the clock and realize you’ve been there for three hours, yet you don’t regret a moment of it. A digital promotional copy of the album was sent to us.